In order to get an opportunity to earn money on our platform you need to submit your blog for review (Check our Terms and Conditions for bloggers before submitting a blog). Once approved, your blog will be added into our marketplace of blogs for advertisers. 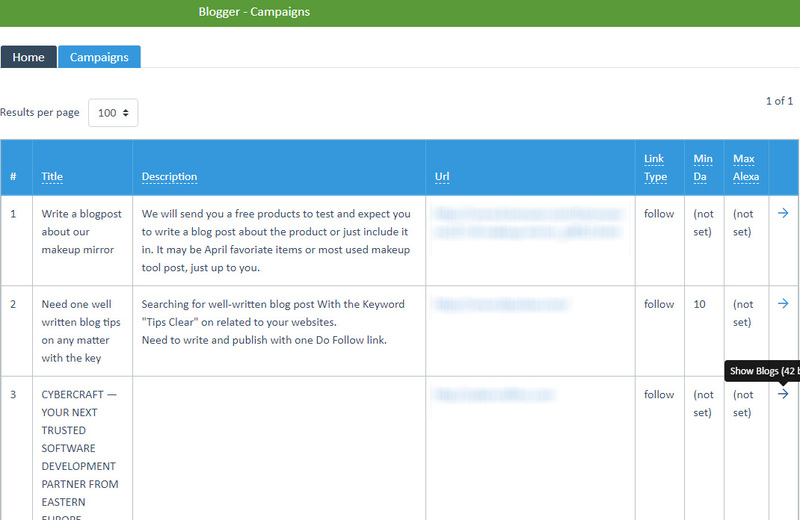 You can check the status of your blog in your Blogger Account. Suggest Your Blog. In the Campaigns section in your dashboard you will see public assignments, which advertisers create to get blog suggestions. This is your opportunity to get blog review order from advertiser. Our system selects only those blogs from your list, which fit the parameters of the advertiser campaign. Choose a blog review campaign you are able to complete and publish on your blog and make a suggestion. Click on the "Plus" icon near your blog, below the campaign details. Get Notified. 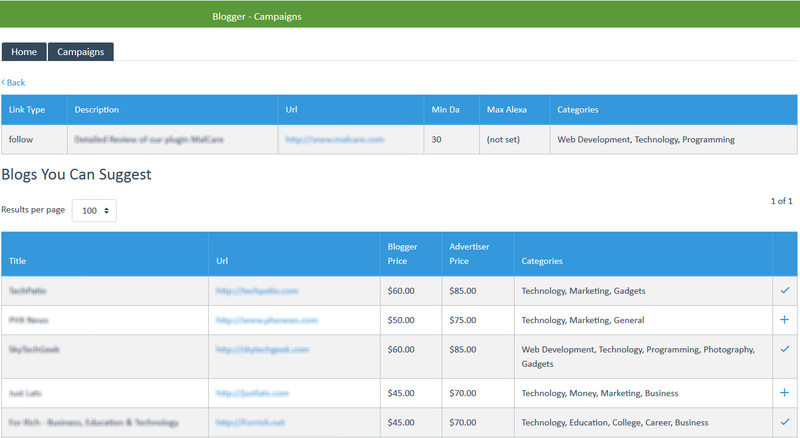 Once your blog is added into our marketplace, advertisers will be able to see your blog and make an order of a product review or blogpost on your blog. You will receive a notification via email once an order is placed. Details of your order can be checked in your Blogger dashboard in ‘Pending Jobs’ section. Accepting or Rejecting. After you checked the job details you need to Accept or Reject the order, depending on your ability to complete this order. If you click on the Reject icon, advertiser will get a refund for his order. If you won’t take any action, the job will expire in 10 days after you reviewed it or in 5 days if you didn’t check the job details and the advertiser will be refunded. Set a Deadline for Your Job. 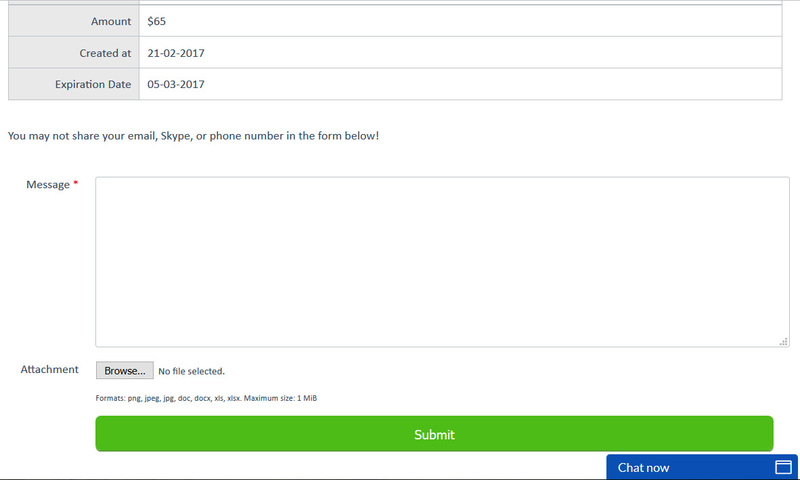 If you click on Accept icon, you will be proposed to choose your date of completion (Estimation Date). Discuss order details with Advertiser. You can ask advertiser questions about your order by submitting a Message in a comment form below your order details. Complete your order. Once your review or blogpost is published on your blog, you can submit the url of your published post in your order in “Jobs in Progress” section on your Dashboard. Click on the Complete icon near your job details. After your completed order has been approved by the Advertiser, the money for your job is put on Hold by our system for 14 days. After 14 days your money will be credited to your Blogger Balance and you will have the possibility to withdraw your earned money to your paypal.